Fake virus alerts. What to do and how to remove them? Fake virus alerts are very common on some parts of the web and most of us have encountered one at some time or another. At best, they’re an irritation. At worst, a real risk to the security of our computers and our data. The purpose of most fake virus alerts is to intimidate or scare you into clicking a link. The irony, of course, is that until you click the link, there is no virus on your computer. After you click it, there may be. What is a fake virus alert? The virus alerts we’re talking about are pop-up windows or browser tabs that open when you visit a web page. They will warn you that your computer has a virus and that you need to click a link and download software to get rid of it. How can I tell if a virus alert is fake? Simple. Unless you have antivirus software running on your computer, every virus alert you see is fake. If you do have AV software running, the only real alerts will be in a window displayed by your software. Web page or browser tab pop-ups are always fake. Note: it’s important not to confuse virus alerts with browser security warnings. Most browsers will warn you if they detect that a page you’re about to visit is unsafe. You should heed those warnings, but they’re not virus alerts. What should I do if I see a fake virus alert? Ignore it and close the window or browser tab. Consider whether you want to continue using a website that displays such warnings. These fake virus alerts are often adverts, paid for by cybercriminals who want you to download their malware onto your computer. Any site that hosts such adverts is putting you and your computer at risk. If you can’t close the browser tab and can’t select another tab, you’ll need to quit, and perhaps even Force Quit your browser. Then re-open it without reloading all the tabs that were open in the previous session. Don’t, under any circumstances, click the link the fake virus alert wants you to click. It’s worth noting that this kind of adware sometimes launches a new window that sits in behind your current browser window, so you might not even notice it’s there. If you notice your computer slowing down suddenly, or hear the fans start up when you’re just surfing the web, click on the Window menu in your browser to see if there are any windows open other than those you’ve opened. If there are, bring them to the front and close them. What should I do if I’ve already clicked a link? If you’ve clicked a link in a fake virus alert, there’s a reasonable chance that you’ve downloaded a virus to your computer. Don’t panic. But do take steps to check your Mac or PC for malware. If you have an antivirus tool installed, use that to scan your computer. If not, there are several good ones available to download for free. You can use one of those to carry out a scan. Some AV applications will also remove malware free, others require that you pay for a full version of the software before they will remove anything. If you’re using a Mac, you can also use the malware utility in CleanMyMac X to scan your computer for viruses, like those you may have downloaded from an Apple fake virus alert. CleanMyMac X has a regularly-updated database of malware and when it scans your Mac, it compares what it finds with that database. 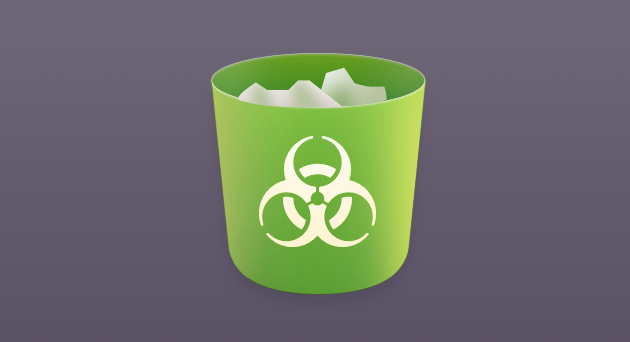 If it doesn’t find anything, it gives your Mac a clean bill of health. If it does find malware, it will offer to remove it at the click of a button. How can I prevent fake virus alerts? Given that fake virus alerts are usually pop-up windows or tabs that appear when you visit certain websites, the best way to avoid them is not to visit those websites. That, of course, leads to the question: which sites should I avoid? There’s no easy answer to that but as a rule of thumb, any site that offers free access to something you’d normally have to pay for is likely to put you at risk from adware, including fake virus alerts. These sites include those that offer streaming versions of the latest movies and TV series, or those that post cracked licence codes or passwords. In addition, however, sites that have been hacked may display fake virus alerts. These include dormant sites that are no longer updated by their owner and which may run on a popular CMS like Wordpress or Drupal. There’s no way of knowing before you visit a site whether it’s going to display a fake virus alert. And when it comes to fake virus alert removal, the only people that can get rid of it are the site owners. If you’re really worried about it, your best strategy is to only visit sites you know you can trust, but that places significant limits on your web browsing. A better solution is to apply common sense. Most of us, through years of experience, are able to identify likely risky sites before we click on a link to them. So if you think a site may be risky, or you see an alert from your browser telling you it may be risky, don’t go there. But remember, the alert itself won’t harm your computer, even if it is irritating. As long as you don’t click on a link on the warning page, you’ll be safe. Fake virus alerts are a particularly nasty form of adware because they play on users’ fears and by exploiting those fears put them at greater risk of the very thing they were worried about in the first place. However, by using common sense, it’s quite easy to dismiss them and carry on. If you are worried that you’ve clicked on a link on a fake virus alert and have downloaded malware, you should use an antivirus tool, or if you’re using a Mac, CleanMyMac X, to scan your computer and, if necessary, remove the virus.